I love to see good people launch a great small business idea and succeed, especially if it’s local to my home and office here on Pittsburgh’s Northside. This post features my observations about recent business launches that could have been stronger with some simple basics. A little background. Randy Strothman & Associates has spearheaded several launches in the past, including a nonprofit, and they’re all going strong years later. I like to think “our business is to make your business a success”—at least in the marketing sense and knowing that there are so many other considerations for creating and running a successful business. 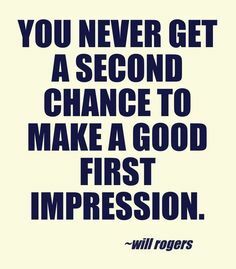 To me, business launches are about first impressions. That said, let me express some exasperation over recent launches of traditional storefront businesses nearby in the last year. My comments below are not highbrow critiques, but are rather focused on simple launch marketing basics. And they are based on proven strategies to get visibility and get customers and dollars coming in the door. Ultimately, your most important marketing effort is providing a quality product and/or service that people want and like. It’s about satisfied customers coming back AND helping to spread the word. It all starts with first getting Attention in our promotion-cluttered world. Here’s a diagram of how getting Attention should lead to Interest, then to a Desire for what you offer and finally to an Action, i.e. trying your product and spending money. Lets talk about your name and your logo. OK, there are lots of unusual and creative names out there these days, including ones that don’t begin to suggest what the business is. One recent restaurant launch named their business with one word—pretty common these days—but it’s something that an angry cat will do to you. Here are some thoughts about naming a business and a pretty low cost way to get help from experts. Then your logo. Assuming you’re going to have one for a while, might as well make it a strong one. I’ve been seeing new logos lately that are unreadable or just plan ugly, let alone inspiring trust, recognition and admiration of the brand. It’s worth finding a design professional that understands branding and logo design. Plus, there is lots of advice online on the good design and here’s a link to one source with 7 desirable characteristics. Actually, these five are pretty common to many experts. I know that focusing on your your buildout, inventory, staffing, etc. is critical, but your website should be up at least by the time of the opening. Preferably before the launch. It’s where people begin to decide whether they want what you offer in the world of 2015. One business here didn’t have theirs up until a month after the opening. You don’t absolutely have to have a website, but again this is 2015 and there are many low cost ways to create one. Sure, I’ve seen some startups do some amazing things with social media to create a buzz and attract fans. As an example we’ve used Facebook to help launch some businesses earlier this year. And a food truck spinoff from a popular local restaurant is only using Twitter to promote itself. Beware of launch promises for things you have little control over. For example, why didn’t you open when you said you would? You’ve built a successful buzz, people are anxious to visit your business, but your contractor is behind schedule, which is pretty common. Or your final code inspections are delayed. Case in point, the launch of a great local business we worked with a few years back was delayed a full year for these reasons. Best not to be overly optimistic, create anticipation and then disappoint your market. Again, first impressions. So much more to successful business launches! I could go into much more detail about successful business launches in a conversation and show case studies. Here are three basic questions. Who are you trying to reach and how? What sets you apart, makes you unique, in the marketplace? Do you have a marketing plan and budget?